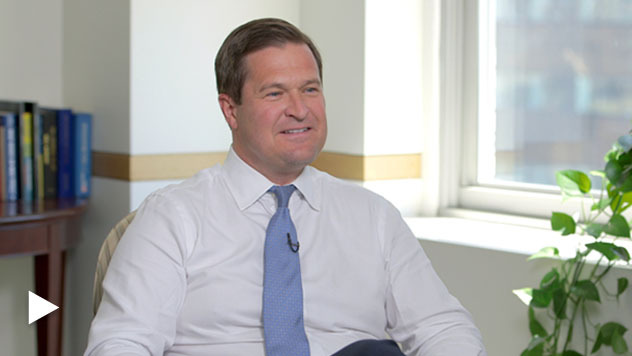 Portfolio Manager Steven McBoyle discusses the dichotomy between a strong economy and performance for economically sensitive sectors. Premier’s had a challenging year. What do you attribute that to? Indeed, certainly year to date, and most pointedly in the second quarter, performance has been challenging. There have been a number of factors. I would point to two. First, and perhaps somewhat obviously, we have come off a two-year consecutive period of 20 percent plus returns. So it’s natural. The performance pendulum often swings both ways, and we’ve had a pullback. Past performance is no guarantee of future results. Historical market trends are not necessarily indicative of future market movements. 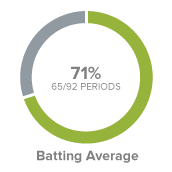 All performance information reflects Investment Class results. But perhaps secondarily, and somewhat surprising, is the second-quarter performance amongst the defensive sectors versus the economically sensitive sectors, specifically Industrials. I don’t think that was anticipated on our part. The commentary from the management teams of our industrial companies continues to be very positive. We know in the United States that PMI is very strong, production rates are strong, order rates are strong. Naturally, though, we have headwinds. We have the deceleration of PMIs globally. We have China weakening. We obviously have trade issues that are at the forefront. But that being said, the U.S. and its strength, we would have perhaps expected Industrials to have performed better, particularly those directly or indirectly serving the energy complex. What recent moves have you made in the portfolio? We have been active sellers. Certainly in the 4th quarter of last year and into this year, particularly amongst the outsized winners that we had in technology. Now the good news here is that we have been able to, in place of those, find a number of compelling new opportunities. So specifically in the fourth quarter we added five new names, and in the first quarter we added three new names. And this is across a diverse group of sectors. So from a company perspective they range from being a dominant software platform, serving the clinical development process for clinical research organizations and Big Pharma companies. They are a couple of specialty chemical companies. They are an investment management firm that specializes in real estate. We’re finding new durable business models that have all the Premier attributes, run by capable managers that we have a long history with of following, at attractive valuations. Why do you think that Premier’s overall portfolio is well positioned for the upcoming environment? I think at this point in time, the market backdrop is exceptionally strong for Premier. And now why do I say that? We obviously are seeing a resurgence in value. We have a strong U.S. economy. We have a strong dollar. We have rates rising. We have volatility coming back to the marketplace, clearly aiding active managers like ourselves. The 10-Year Treasury Yield rose in 92 of 229 periods. indicative of future market movements. 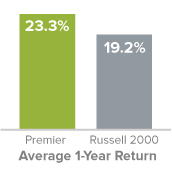 All performance information reflects Investment Class results. And we continue to think we’re entering into a low return environment. All those factors, historically have played very well to the Premier Strategy. And at the end of the day, I always like to say, you know, the strategy remains consistent. Premier is a collection of what we believe to be superior businesses with superior economics, run by superior management, and that combination over time should tend to create its own success.